It’s always good for geotechnical professors and practitioners alike to think about where our industry has been and where it’s headed. A little while back three of our most eminent people (Garland Likins, Bengt Fellenius and Robert Holtz) came together and wrote an excellent piece for the 2Q 2012 issue of the Pile Driver (the official publication of the Pile Driving Contractors Association) on “Pile Driving Formulas”. The article is centred on the 1941-2 discussion (that’s putting it politely) in the Proceedings of the American Society of Civil Engineers on a committee report on the subject. On this site there is a history of pile dynamics from the Sanders (not Stanton, as the PDCA article states) Formula to the present. I considered adding a page on this particular topic, but with a website like this where the compensation is minimal, time failed me. In a sense, the PDCA article fills an important gap in the narrative. Having said that, I can’t help but think that the authors took some inspiration from what I had posted. For example, the inventor of the Engineering News formula is not generally referred to as “Arthur Mellen Wellington” and the quote from his work is the same as the one I used, the more “spiritual” part excised. In any case, the number of pile driving formulae increased in the first three decades of the last century to the point where, in 1930, the American Society of Civil Engineers appointed a committee to study the issue and recommend a formula. The timing was interesting. The following year, the Australian civil engineer David Victor Isaacs published his historic paper which first identified (and developed a method to analyse) wave propagation in precast concrete piles. Later in the decade the British Building Research Board did their extensive research on wave propagation in piles. The civil engineering world was taking its first steps to get beyond simple Newtonian impact mechanics in the dynamic analysis of driven piles. The Committee finally released its report in 1941. One recommendation was that static load tests be used in place of dynamic formulae. This was definitely one way to solve the problem, but static load tests are long and expensive, and neglect the use of the pile hammer as a measuring tool. Another proposed a refinement of existing dynamic formulae. At this point the controversy erupted. From September 1941 to February 1942 the discussion raged in the Society’s proceedings. It involved many of the “greats” of geotechnical engineering: Karl Terzaghi, Ralph Peck, Arthur Casagrande, Gregory Tschebotarioff, Lazarus White and many others. As is often the case in the earth sciences, from global warming to earthquake engineering, it sometimes got heated and emotional, with some defending the status quo while others pointing out the inadequacies of dynamic formulae. The PDCA article does an excellent job in distilling this discussion to its basics. While the end result—a “new” dynamic formula was not imposed on the industry—was a satisfactory one for the moment, the discussion revealed a great deal about geotechnical engineering, some of which has changed and some of which has not. The first problem was that, for all of their erudition and well-deserved reputation for expertise in the field, many of the commenters were not, for want of a better term, well versed in the ins and outs of things moving, especially as rapidly as takes place during wave propagation in piles. It is to their credit that the pioneers of this profession were able to transform a profession from a strongly empirical one to one subject to engineering analysis and quantification, and doing so in an environment of complexity and unpredictability as the earth itself. But the skill set required to do that didn’t always lend itself to the understanding of the phenomena seen in driven piles during driving. In that respect, the controversy resembled one description of the Trinitarian controversies of the fourth century: a “sea fight in a fog”. While the shortcomings of the dynamic formulae were clear to those who spent time the jobsite time that these men did, the solution for the problem would have to come from somewhere else. The second problem was that the computational power needed to analyse the problem was lacking at the time, especially to the practitioners in the field. Isaacs solved this problem by using a graphical method, a solution seen elsewhere in the profession, but making his method general practice would have involved some kind of instrumentation to verify the results. On the other hand the BBRB came up with the instrumentation, but their analytical method—a type of d’Alembert solution of the wave equation—was far too complex for practical implementation at the time. Neither of these methods, even if they had been combined, adequately addressed the soil response to impact, especially along the shaft of the pile. But in any case the Committee’s inclusion of these methods was not a significant part of their work product, and World War II put a stop to the research. It’s tempting to think that, without that great and destructive conflict, a workable solution could have been proposed a decade earlier than it was. The third problem was the frequently unhelpful role of building codes and standard specifications. Codes enable owners to insure that their work is done properly. One way they do this is by specifying methods of verification that are both easy and repeatable to evaluate. What’s “easy” depends upon the tools of the time, but one of the reasons it has been so difficult to displace the dynamic formulae from geotechnical practice is because they—and especially the Engineering News formula—became deeply embedded in the codes and specifications by which many structures were built. To take these away required their replacement, and risk averse owners of all kinds were reluctant to do this. As the PDCA article rightly notes, the most prescient commenter was Raymond Concrete Pile’s A.E. Cummings, who noted the existence of Isaacs’ and the BBRB’s work on wave propagation in piles. This is no accident. Raymond was involved in every aspect of the installation of driven piles, from the design and manufacture of the driving equipment to the load testing of the piles. They had a more comprehensive view of the issues involved and, being a large organization, had the means to tackle the problem. Combined with the advent of digital computers, Cummings’ Raymond colleague E.A.L. Smith was able to write the first code suitable for the analysis of piles during impact driving, and the rest, as they say, is history. Today of course the analysis of wave propagation in piles, both predictively and inversely, is at the core of pile dynamics. It’s worth noting, however, that, although there have been many refinements in the methodology and advances in the software used, the basic theory in use is ostensibly the same as it was in the 1970’s. It’s also worth noting that the use of pile dynamics is still a very specialized business, not only because they involve deep foundations, but also because, as was the case seventy years ago, most geotechnical engineers (except those in research) are not specialists in dynamics or numerical methods, both of which are at the heart of the analysis of piles (and other deep foundations) during impact driving. Finally, although it’s been a long process to displace the dynamic formulae with wave related methods of analysis in building codes and specifications, it’s unreasonable to say that newer methods will not come along to displace or upgrade them, even in this conservative industry. One of these days, significant breaks with current practice will appear to be considered. Hopefully we won’t go through another “sea fight in a fog” as we did in the 1940’s and make the transition to newer, vetted methods smooth and efficient, for the benefit of both our profession and for those who use the structures we design and build. That’s more true in two fields than any other: business and scientific/engineering software. Ever wonder why businesses and medical establishments, for example, still run Windows XP or 7 so often? With engineering software, it’s even worse: there are still DOS programs which do things that more recent software either does not do or does very expensively (the “per seat” cost of programs like AutoCad and most commercial finite element software, would shock most people outside of the field). I’ve also tried other DOS engineering programs in DOSBox with success, including finite element analysis. The ability to preserve the graphics using a screen grab program is a big plus (see below.) These programs, however, like WEAP87 put their output in a text file, which can then be edited by either a text editor or a word processor. Again a big advantage of DOSBox is that the file system for the program is accessible by the host operating system, which means that you can keep files generated by DOS programs and other data (such as soil boring data, for example, with SPILE and WEAP87) together. A screen shot from DesignCAD 4 for DOS, showing the hydraulic schematic for the Vulcan 2800 vibratory hammer. Given the limitations of DOS and the computers they ran on, the results that DesignCAD produced were amazing. Additionally DesignCAD did fine with just a keyboard, a mouse and a standard graphics card, obviating the need for additional hardware such as digitising pads. For many years, Vulcan included Engineering News Formula charts and data in its literature. Vulcan dropped the EN formula out of its literature in the 1970’s, for two reasons: the wave equation was in the ascendancy, and endorsement of the EN formula was an implied endorsement of the “bearing power” of the piles they drove, an endorsement which Vulcan was justifiably reluctant to make. Gates Formula tables can be found for many Vulcan hammers can be found at the Vulcan Foundation website. 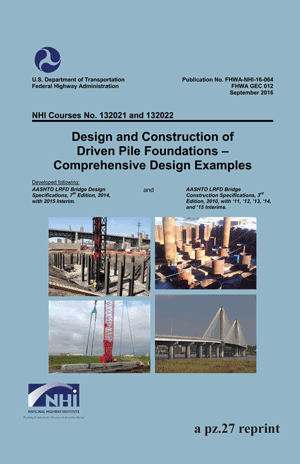 Copies of the FHWA Design and Construction of Driven Pile Foundations can be obtained by clicking on the cover images to the right. Closed form solution of the wave equation for piles, the definitive work on the subject, from the 1990’s. Includes some of the background documents and derivative works. Improved Methods for Forward and Inverse Solution of the Wave Equation for Piles: a new research project on the subject. 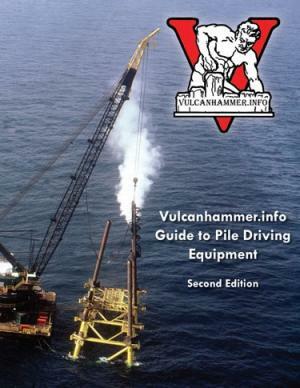 These topics are treated in detail in the Vulcanhammer.info Guide to Pile Driving Equipment, which includes a worked example. What maximum blow count (blows per inch, foot, centimetre or metre) of penetration will be experienced during driving? How does this compare with the refusal criterion associated with the specific hammer? How high do the driving stresses–tension and compressive–rise in the piles during driving? How long does it take to drive the pile? What kind of pile load capacity: axial, lateral, allowable or ultimate–can we expect from the pile once it’s driven? 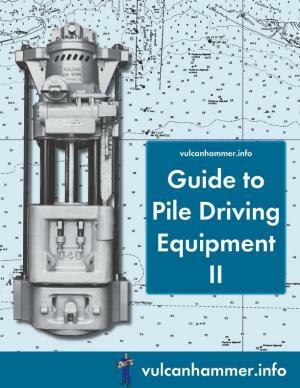 Driven piles are unique in that their driving resistance–and thus their axial capacity–can be estimated/verified by the performance of the hammer during driving. That’s why the Pile Driving Contractors Association’s motto is “A Driven Pile is a Tested Pile.” The methods for correlating the hammer performance with the pile resistance have changed over the years, and Vulcan hammers have been and are involved in almost all of the changes that take place. Although Vulcan hammers are featured in this section, most of these principles apply to any impact hammer. In 1997, The Wave Equation Page for Piling was started to propagate (a good wave-related term) knowledge and understanding concerning the wave equation as applied to driven piles, knowledge that also extends to drilled shafts and other cast-in-situ piles when verification methods are employed. Most treatments of the wave equation as applied to piles concern a computer program, most commonly GRLWEAP. But the topic in general predates this program. The use of wave theory to predict pile drivability and driving stresses was first proposed in 1931. It quickly became evident that a numerical method would be necessary to solve the problem in piling in a meaningful way. It was not until the early 1960’s that real progress began in applying the theory to practice. Today the wave equation is applied both to the capacity and drivability prediction of impact-driven piles and to the in situ monitoring of piles during installation. However, many engineers, equipment manufacturers, owners and in some cases the practitioners themselves are unaware of some of the complexities related to the application of stress wave theory to piles. This page will hopefully advance the dissemination of this knowledge and perhaps the application itself. Reputation: These programs have been around for a long time; they have been extensively tested (in their early development at least) and promoted by their developers extensively. Relation to Dynamic Testing: Both of the developing organizations offer dynamic testing and the equipment to perform this. This has become a standard part of pile dynamics, and adds to the credibility of the program. As a Check: Any scientifically developed tool needs to be subject to verification. These solutions provide that kind of check. As Research Tools: There is nothing to prevent these being used in a research environment. For Progress: No technical development is immune from improvement! For example, why do we use finite difference methods only and not finite element ones, in common with so many other disciplines? There are still so many things in Geotechnical engineering we do not have adequately quantified that the need for improvement should be obvious. Wave equation programs are no exception. We trust this this page is useful to you. Detailed information on pile dynamics and the wave equation is here. Prior to performing twenty-eight axial and two lateral load tests on piles at the Mississippi River Lock and Dam 26 project in Alton, IL, an in situ test program was conducted. The program consisted of four cone penetration tests , twelve pressuremeter test borings, and four standard penetration test borings. Comparisons of pile capacity predictions were made for each of the in situ test methods. The initial study generated four reports and voluminous test data. The general aim of the present research is to identify areas of improvement and propose changes in the current methodologies followed by INDOT for design of axially loaded piles, with special focus on the dynamic analysis of pile driving. Interviews with INDOT geotechnical engineers and private geotechnical consultants frequently involved in INDOT’s deep foundation projects provided information on the methods and software currently employed. It was found that geotechnical engineers rely on static unit soil resistance equations that were developed over twenty years ago and that have a relatively large degree of empiricism. Updated and improved static design equations recently proposed in the literature have not yet been implemented in practice. Pile design relies predominantly on SPT data; cone penetration testing is performed only occasionally. Dynamic analysis of pile driving in standard practice is performed using Smith-type soil reaction models. A comprehensive review of existing soil reaction models for 1-dimensional dynamic pile analysis is presented. This review allowed an assessment of the validity of existing models and identification of their limitations. New shaft and base reaction models are developed that overcome shortcomings of existing models and that are consistent with the physics and mechanics of pile driving. The proposed shaft reaction model consists of a soil disk representing the near field soil surrounding the pile shaft, a plastic slider-viscous dashpot system representing the thin shear band forming at the soil-pile interface located at the inner boundary of the soil disk, and farfield- consistent boundaries placed at the outer boundary of the soil disk. The soil in the disk is assumed to follow a hyperbolic stress-strain law. The base reaction model consists of a nonlinear spring and a radiation dashpot connected in parallel. The nonlinear spring is formulated in a way that reproduces realistically the base load-settlement response under static conditions. The initial spring stiffness and the radiation dashpot take into account the effect of the high base embedment. Both shaft and base reaction models capture effectively soil nonlinearity, hysteretic damping, viscous damping, and radiation damping. The input parameters of the models consist of standard geotechnical parameters, thus reducing the level of empiricism in calculations to a minimum. Data collected during the driving of full-scale piles in the field and model piles in the laboratory are used for validating the proposed models. This document summarizes the findings for phase one of a two-phase study assessing the feasibility of applying threaded connections in offshore platform caissons. Please note that the report is not structured in accordance with the work task breakdown defined in the program scope of work. Rather, existing caisson and threaded connection design practices are addressed independently of each other in two separate sections, while a third section integrates these into a discussion of their application to threaded connection designs for caisson structures. Following this discussion, recommendations are made for development of a general guideline, and an accompanying scope of work is outlined for the second phase of the feasibility study. Composite piles have been used primarily for fender piles, waterfront barriers, and bearing piles for light structures. In 1998, the Empire State Development Corporation (ESDC) undertook a waterfront rehabilitation project known as Hudson River Park. The project is expected to involve replacing up to 100,000 bearing piles for lightweight structures. The corrosion of steel, deterioration of concrete, and vulnerability of timber piles has led ESDC to consider composite materials, such as fiber-reinforced polymers (FRP), as a replacement for piling made of timber, concrete, or steel. Concurrently, the Federal Highway Administration (FHWA) initiated a research project on the use of FRP composite piles as vertical load-bearing piles. Development and experimental evaluation of an engineering analysis approach to establish the equivalent mechanical properties of the composite material. The properties include elastic modulus for the initial loading quasilinear phase, axial compression strength, inertia moment, and critical buckling load. The composite material used in this study consisted of recycled plastic reinforced by fiberglass rebar (SEAPILETM composite marine piles), recycled plastic reinforced by steel bars, and recycled plastic reinforced with randomly distributed fiberglass (Trimax), manufactured respectively by Seaward International Inc., Plastic Piling, Inc., and U.S. Plastic Lumber. Static load tests on instrumented FRP piles. The instrumentation schemes were specifically designed for strain measurements. The experimental results were compared with current design codes as well as with the methods commonly used for evaluating the ultimate capacity, end bearing capacity, and shaft frictional resistance along the piles. As a result, preliminary recommendations for the design of FRP piles are proposed. Analysis of Pile Driving Analyzer® (PDA) and Pile Integrity Tester (PIT) test results using the Case Pile Wave Analysis Program (CAPWAP)(1) and the GRL Wave Equation Analysis of Piles program GRLWEAP(2) to establish the dynamic properties of the FRP piles. The PDA also was used to evaluate the feasibility of installing FRP piles using standard pile driving equipment. Pile bearing capacities were assessed using the CAPWAP program with the dynamic data measured by the PDA, and the calculated pile capacities were compared to the results of static load tests performed on the four FRP piles. The dynamic and static loading test on instrumented FRP piles conducted in this project demonstrated that these piles can be used as an alternative engineering solution for deep foundations. The engineering analysis of the laboratory and field test results provided initial data basis for evaluating testing methods to establish the dynamic properties of FRP piles and evaluating their integrity and drivability. Design criteria for allowable compression and tension stresses in the FRP piles were developed considering the equation of the axial force equilibrium for the composite material and assuming no delamination between its basic components. However, the widespread engineering use of FRP piles will require further site testing and full-scale experiment to establish a relevant performance database for the development and evaluation of reliable testing procedure and design methods. The design of a pile foundation cannot be carried out by cookbook procedures. Nevertheless, the design can proceed in a rational matter such that no important points are overlooked. This checklist is undoubtedly oversimplified, but it may prove useful. An overview of specifications for deep foundations, from various sources. The strategic plan for bridge engineering issued by AASHTO in 2005 identified extending the service life and optimizing structural systems of bridges in the United States as two grand challenges in bridge engineering, with the objective of producing safer bridges that have a minimum service life of 75 years and reduced maintenance cost. Material deterioration was identified as one of the primary challenges to achieving the objective of extended life. In substructural applications (e.g., deep foundations), construction materials such as timber, steel, and concrete are subjected to deterioration due to environmental impacts. Using innovative and new materials for foundation applications makes the AASHTO objective of 75 years service life achievable. Ultra High Performance Concrete (UHPC) with compressive strength of 180 MPa (26,000 psi) and excellent durability has been used in superstructure applications but not in geotechnical and foundation applications. This study explores the use of precast, prestressed UHPC piles in future foundations of bridges and other structures. An H-shaped UHPC section, which is 10-in. (250-mm) deep with weight similar to that of an HP10×57 steel pile, was designed to improve constructability and reduce cost. In this project, instrumented UHPC piles were cast and laboratory and field tests were conducted. Laboratory tests were used to verify the moment-curvature response of UHPC pile section. In the field, two UHPC piles have been successfully driven in glacial till clay soil and load tested under vertical and lateral loads. This report provides a complete set of results for the field investigation conducted on UHPC H-shaped piles. Test results, durability, drivability, and other material advantages over normal concrete and steel indicate that UHPC piles are a viable alternative to achieve the goals of AASHTO strategic plan. The objective of this paper is to present solutions to determine the dynamic behavior of pile groups using finite element methods. The purpose of this manual is to provide updated, state-of-the-practice information for the design and construction of driven pile foundations in accordance with the Load and Resistance Factor Design (LRFD) platform. Engineers and contractors have been designing and installing pile foundations for many years. During the past three decades, the industry has experienced several major improvements including newer and more accurate methods of predicting and measuring geotechnical resistance, vast improvements in design software, highly specialized and sophisticated equipment for pile driving, and improved methods of construction control. 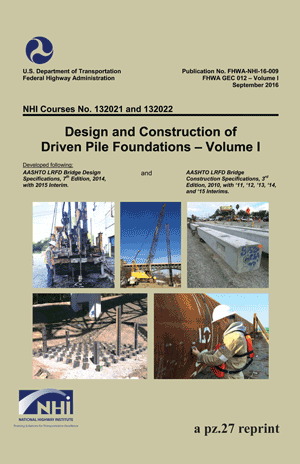 Previous editions of the FHWA Design and Construction of Driven Pile Foundations manual were published 1985, 1996, and 2006 and chronicle the many changes in design and construction practice over the past 30 years. This two volume edition, GEC-12, serves as the FHWA reference document for highway projects involving driven pile foundations. 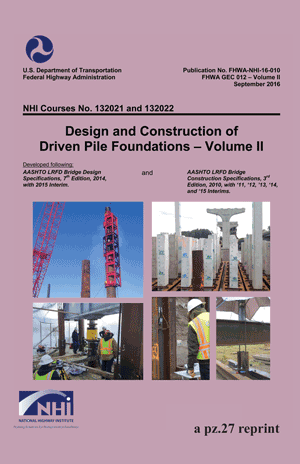 Volume I, FHWA-NHI-16-009, covers the foundation selection process, site characterization, geotechnical design parameters and reporting, selection of pile type, geotechnical aspects of limit state design, and structural aspects of limits state design. Volume II, FHWA-NHI-16-010, addresses static load tests, dynamic testing and signal matching, rapid load testing, wave equation analysis, dynamic formulas, contract documents, pile driving equipment, pile accessories, driving criteria, and construction monitoring. Comprehensive design examples are presented in publication FHWA-NHI-16-064. Throughout this manual, numerous references will be made to the names of software or technology that are proprietary to a specific manufacturer or vendor. Please note that the FHWA does not endorse or approve commercially available products, and is very sensitive to the perceptions of endorsement or preferred approval of commercially available products used in transportation applications. Our goal with this development is to provide recommended technical guidance for the safe design and construction of driven pile foundations that reflects the current state of practice and provides information on advances and innovations in the industry. To accomplish this, it is necessary to illustrate methods and procedures for design and construction of driven pile foundations. Where proprietary products are described in text or figures, it is only for this purpose. The primary audience for this document is: agency and consulting engineers specialized in geotechnical and structural design of highway structures; engineering geologists and consulting engineers providing technical reviews, or who are engaged in the design, procurement, and construction of driven pile foundations This document is also intended for management, specification and contracting specialists, as well as for construction engineers interested in design and contracting aspects of driven pile systems. FHWA-NHI-05-042 and FHWA-NHI-05-043, NHI Courses No. 132021 and 132022. FHWA NHI-97-013. This FHWA monograph has information on every driven pile related program we offer except for Microwave and LLP97. They include WEAP87, COM624P, SPILE and DRIVEN. Five contracts from the Central Artery/Tunnel (CA/T) project in Boston, MA, were reviewed to document issues related to design and construction of driven pile foundations. Given the soft and compressible marine clays in the Boston area, driven pile foundations were selected to support specific structures, including retaining walls, abutments, roadway slabs, transition structures, and ramps. This report presents the results of a study to assess the lessons learned from pile driving on the CA/T. This study focused on an evaluation of static and dynamic load test data and a case study of significant movement of an adjacent building during pile driving. The load test results showed that the piles have more capacity than what they were designed for. At the site of significant movement of an adjacent building, installation of wick drains and preaugering to mitigate additional movement proved to be ineffective. Detailed settlement, inclinometer, and piezometer data are presented. Peratrovich, Nottingham & Drage, Inc.
Past placement of structural foundation support piles in frozen soils generally has been performed using drilled and slurry backfill techniques. The early success of specially modified H-pile structural shapes driven into permafrost, and the promise of more economical and faster methods of pipe pile placement, has fostered development of refined pile driving techniques on the North Slope of Alaska. The proposed criteria presented in this paper are primarily addressed to the practicing design engineer, including design and construction considerations for driven piles in permafrost. A s more research and experience accumulate, factors in this report may change. The reader is cautioned to use the findings in this paper with discretion, and only after thorough confirmation of actual site conditions. An outline overview of the essential elements of the successful design of deep foundations. The meeting venue where this was presented had its liquor license suspended during the conference, so this is probably the most sober document available on the subject. This manual provides information, foundation exploration and testing procedures, load test methods, analysis techniques, allowable criteria, design procedures, and construction consideration for the selection, design, and installation of pile foundations. The guidance is based on the present state of the technology for pile-soil-structure-foundation interaction behavior. This manual provides design guidance intended specifically for the geotechnical and structural engineer but also provides essential information for others interested in pile foundations such as the construction engineer in understanding construction techniques related to pile behavior during installation. Since the understanding of the physical causes of pile foundation behavior is actively expanding by better definition through ongoing research, prototype, model pile, and pile group testing and development of more refined analytical models, this manual is intended to provide examples and procedures of what has been proven successful. This is not the last nor final word on the state of the art for this technology. We expect, as further practical design and installation procedures are developed from the expansion of this technology, that these updates will be issued as changes to this manual. The work described here represents an attempt to understand the mechanisms of energy transfer from steel H-piles driven with diesel hammers to the surrounding soil and the energy attenuation through the soil by measuring ground motion vibrations in the near vicinity of the pile. Attenuation rates of vibration decay with radial distance from the driven pile were calculated. A spreadsheet tool was developed to estimate distances from the pile at which the threshold settlement vibrations may be exceeded. A description of the basic principles of energy transfer and efficiency ratings as they apply to pile driving equipment and the piles they drive. The overall goal of this project is the experimental evaluation and design of unfilled and concrete-filled FRP composite piles for load-bearing in bridges. This report covers Task 3, FRP Composite Pile Flexural Testing. Hollow and concrete filled fiber reinforced polymer (FRP) piles were tested in four point bending to examine degradation in stiffness, ultimate strength, and loss of concrete‐FRP composite action due to pile driving and cyclic loading. Testing showed a high level of variability in the ultimate strength of the piles, but all driven and load-cycled samples broke within the upper and lower bounds of the control piles. This series of tests showed no degradation in stiffness during static tests in the piles due to driving or cyclic loading. However, driving and cyclic loading appear to affect composite action between the FRP shell and concrete. Bridges and buildings are often supported on deep foundations. These foundations consist of groups of piles coupled together by concrete pile caps. These pile caps, which are often massive and deeply buried, would be expected to provide significant resistance to lateral loads. However, practical procedures for computing the resistance of pile caps to lateral loads have not been developed, and, for this reason, cap resistance is usually ignored. Neglecting cap resistance results in estimates of pile group deflections and bending moments under load that may exceed the actual deflections and bending moments by 100 % or more. Advances could be realized in the design of economical pile-supported foundations, and their behavior more accurately predicted, if the cap resistance can be accurately assessed. This research provides a means of assessing and quantifying many important aspects of pile group and pile cap behavior under lateral loads. The program of work performed in this study includes developing a full-scale field test facility, conducting approximately 30 lateral load tests on pile groups and pile caps, performing laboratory geotechnical tests on natural soils obtained from the site and on imported backfill iii materials, and performing analytical studies. A detailed literature review was also conducted to assess the current state of practice in the area of laterally loaded pile groups. A method called the “group-equivalent pile” approach (abbreviated GEP) was developed for creating analytical models of pile groups and pile caps that are compatible with established approaches for analyzing single laterally loaded piles. A method for calculating pile cap resistance-deflection curves (p-y curves) was developed during this study, and has been programmed in the spreadsheet called PYCAP. A practical, rational, and systematic procedure was developed for assessing and quantifying the lateral resistance that pile caps provide to pile groups. Comparisons between measured and calculated load-deflection responses indicate that the analytical approach developed in this study is conservative, reasonably accurate, and suitable for use in design. The results of this research are expected to improve the current state of knowledge and practice regarding pile group and pile cap behavior. Using an energy method, the lateral response of an initially curved raked pile to an axial blow from a piling hammer is derived. By treating the blow as an impulsive force, a considerable simplification results which enables a closed form solution to be obtained. The solution is in general terms and enables all boundary conditions of practical interest to be studied. The cases of cantilever and a propped cantilever pile are presented as being of most practical interest. Propping corresponds to supporting the hammer in leaders and results in lower bending stresses. The most critical case is the raked cantilever pile. This can experience signifcant bending stresses. We feature this thesis for several principal reasons. First, it is unusual in that it deals with both soil dynamics and wave propagation in piles in the same place. These two subjects are obviously related but are not tied together as often as one would like. Second, it is an extensive treatment on the subject of loading rate in pile load testing. The significance of loading rate in testing is important both for the proper interpretation of the results and in relating the determined load to actual loads on piles, all of which have some kind of load rate. Third, the background section of the thesis deals with many of the same soil models that were used in our own thesis. The soil modelling described in that work was heavily influenced by the work of Alain Holeyman, who supervised Charue’s thesis. The thesis also cites our own paper on the development of the ZWAVE wave equation analysis program, which used soil models that were a departure from Smith. Soils, like several other materials, exhibit strong time-dependent behaviour which can be evidenced in terms of creep or strain-rate effects. The degree of this rheological behaviour varies with the type of soil, its structure, and with the stress history. This effect is exacerbated in pile load testing where the procedure duration tends to be shortened under increasing time pressures. The modelling needed to interpret the results therefore becomes more and more complex, including soil viscosity, wave radiation into the soil and other significant phenomena. Within this framework, it would be interesting to study the influence of the loading rate on the load-displacement behaviour of the pile through the results of two testing procedures loading piles with variable duration (Static Loading Test (SLT) used as reference and Dynamic Load Test (DLT)). Based on these data issued from two national research programs organised by the Belgian Building Research Institute (BBRI), the objective of the research reported herein is to refine the rheological parameters characterizing the influence of the loading rate within the framework of a relevant pile/soil interaction model fed with dynamic measurements acquired during pile Dynamic Load Tests. The final goal is to predict and simulate the quasi-static pile load settlement curve. After an overview of the loading rate effects in the literature through the experimental and modelling aspects, the dynamic data measured on field are analysed. It has been observed that some relationships exist between maximum quantities such as: energy transmitted to the pile, pile head velocity and force and the settlements (maximum and permanent) measured after a sequence of blows during a DLT event. These relationships are similar for the sandy and clayey sites and repeatable in time. It has been found that there are some critical quantities (correlated with the hammer drop height) from which a significant settlement of the pile is possible while the pile does not settle if these quantities are not exceeded. The pile/soil interaction system is described by a non-linear mass/spring/dashpot system supposed to represent the pile and the soil, with constitutive relationships existing within and between them. These relationships account for the static and the dynamic or rheologic behaviour. A back-analysis process based on a matching procedure between measured and computed curves (force and velocity) allows one to describe the pile/soil interaction in terms of constitutive and rheologic parameters based on the dynamic measurements. After optimisation of the matching procedure, the parameters obtained are used to simulate the “static” load-settlement curve. The matching procedure is based on an automatic multi dimensional parameter perturbation analysis. Since the parameters influence the system response with a relative weight, they are sorted in order to optimise all the parameters by successively retrieving the most influential ones and working on the remaining ones. The most commonly used pile materials are steel, concrete, and wood. These materials can degrade, and the degradation rate can be relatively rapid in harsh marine environments. It has been estimated that the U.S. spends over $1 billion annually for repair and replacement of waterfront piling systems. This high cost has spurred interest in alternative composite pile materials such as fiber-reinforced polymers (FRPs), recycled plastics, and hybrid materials. Because only minimal performance data have been collected for composite piles, a research project was undertaken to investigate (1) soil-pile interface behavior of composite piles, (2) the long-term durability of concrete-filled FRP shell composite piles, and (3) the driveability and axial and lateral load response of concrete-filled FRP composite piles and steel-reinforced recycled plastic piles by means of field tests and analyses. In addition, a long-term monitoring program was implemented at a bridge over the Hampton River in Virginia. According to laboratory rest results, values of residual interface friction angle between three pile surfaces and a subrounded to rounded sand were 27, 25, and 28 degrees for a FRP composite pile, the recycled plastic pile, and the prestressed concrete pile respectively, while the values of residual interface friction angle between these piles and a subangular to angular sand were 29, 29, and 28 degrees for the FRP composite pile, the recycled plastic pile, and the prestressed concrete pile, respectively. Regarding durability of FRP composite piles, it was found that moisture absorption caused degradation of strength and stiffness of the FRP shells, but that freeze-thaw cycles had little effect. Analyses indicate that FRP degradation due to moisture absorption should have minimal impact on axial capacity of the FRP composite piles because most of the axial capacity is provided by the concrete infill; however, FRP degradation has a larger effect on lateral capacity because the FRP shell provides the capacity on the tension side of the pile. The field tests demonstrated that there were not major differences in driveability of the FRP composite pile, the recycled pile, and the prestressed concrete pile. In static load tests, the FRP composite pile and prestressed concrete pile exhibited similar axial and lateral stiffness, and the plastic pile was significantly less stiff. Conventional static analyses of axial load capacity, axial load versus settlement, and lateral load versus deflection provided reasonable predictions for the composite piles, at least to the levels of accuracy that can be achieved for more common pile materials. The long-term monitoring program has been implemented for an FRP composite pile and a prestressed concrete pile so that their load-transfer performance can be compared over time. The long-term monitoring is being done by Virginia DOT. Research was conducted into the mechanics of pile driving with diesel hammers. The first step consisted of an investigation of the mechanical and operational details of diesel pile hammers. Then, a mathematical simulation of diesel hammer operation was developed for purposes of wave equation analysis, which is an analytical method for prediction of pile load capacity and driving stress on the basis of driving resistance (pile penetration per hammer-blow). Finally, the performance characteristics of diesel pile hammers and the factors affecting performance were studied. The details of diesel hammer design and operation are described. Differences in design and operation among the various types of diesel hammer are discussed as they relate to pile-driving effectiveness. Design features related to inclined operation and soft-ground operation are discussed. The mathematical model of the diesel hammer is described in detail, with emphasis on the simulation of diesel combustion, steel-on-steel impact, and interaction of hammer operation with the dynamic response of pile and soil. In wave equation analysis of diesel pile driving, the mathematical hammer model is combined with models of the pile and soil to produce a total simulation of the hammer-pile-soil system. Impact pile driving was studied by utilizing longitudinal wave propagation theory as ananalytical tool . Field data from pile driving jobs was used to establish the validity and usefulness of the analytical techniques developed herein. The theoretical treatment of the dynamics of impact pile driving included an analysis of both the force generated at the head of the pile and the response of the pile tip to a generated force pulse. A model consisting of a hammer system operating on the head of an infinitely long pile was used to determine both the pile force pulse and the transmitted energy. The model was used to make a dimensionless parameter study of the factors influencing force and energy. The driver system consisted of concentrated masses for both the ram and the drivehead and an energy absorbing spring (both linear and nonlinear) for the hammer cushion. Soil and pile responses were investigated with respect to an arbitrary force pulse in order to assess the variables controlling pile penetration and load capacity. Special emphasis is placed on soil and pile response a t the pile tip; the soil model includes viscous damping, mass and an elastic-plastic spring. Characteristics of the hammer-pile-soil system as a whole are summarized. Theoretical results using wave propagation theory are compared with both case histories and commonly used dynamic formulas. Correlation of wave analyses and field case histories are used to support the conclusion that wave propagation theory is the proper theoretical tool for pile driving analysis. The problem analyzed in this presentation is inspired by a real-world problem where the construction of a landfill at a rate too fast caused damage to an adjacent bridge. Without presenting actual names, the problem is described and analyzed using an elasto-plastic finite element computer code (HOPDYNE) to illustrate how an advanced numerical procedure can help develop an understanding of the failure mechanism, and reveal the true cause of the failure in a complex problem like this, where loading and consolidation take place simultaneously. The problem involves soil-structure interaction. The geometry is too complex, raising questions concerning the validity of one-dimensional assumptions used in Terzaghi’s one-dimensional consolidation theory. The clayey soil in the foundation is too soft and is certain to behave highly plastically, raising questions about the validity of using elastic theories to calculate the stresses in the foundation caused by the weight of the landfill. In other words, the problem is too complex, pointing to the need for a method like the finite element method for not only verifying the validity of the conventional methods normally used in analyses, but also to explain the true cause of failure. Different foundation concepts have been presented and applied to offshore windmill turbines designed and constructed all over the world. The advantages and disadvantages of different concepts are already outlined and research from universities and private companies continues with this respect. The choice of the foundation concept for an offshore windmill turbine is governed by several factors, which include soil conditions, the water depth at the location, the scour and erosion, the capacity of the turbines, the foundation cost etc. It is investigated that for offshore windmill turbines the foundation costs are approximately 25% of the total cost . There are basically three types of foundations applied to different windmill parks. These are: gravity based, skirted and piled foundations. Piled foundations are the most common foundations for offshore structures. Driving the piles into the seabed is the standard method of installation . Considering the soil conditions and other factors the mono-pile foundation concept was chosen for the windmill park at Horns Rev, Denmark. Such concept is also applied at Utgrunden and Bockstigen in Sweden and other places. Large diameter mono-piles are generally used for offshore windmill turbines placed at shallow water. A lot of progress has been made in the last decades towards the development of engineering methods for the static and dynamic analysis of the pile foundations. Different approaches can be adopted in solving the problem. The p-y approach or Winkler model, [3-5] has been widely used to design piles subjected to lateral static or dynamic loading. Based on this approach the lateral soil-structure interaction can be modeled using empirically derived nonlinear springs and dashpots. More rigorous finite element methods (FEM), which allow application of soil constitutive modeling and soil-pile nonlinear interaction, have been developed lately. Some representative FEM applications regarding pile foundation design are given by [6-9] where a series of 3D FEM studies were conducted on the behavior of piles under static loads. For dynamic loads the problem can be considered as viscous-dynamic with material damping included, [10-11], or nonlinear-dynamic depending on the current situation. A structure resting on pile foundations and subjected to dynamic vibrations with small amplitudes can be analyzed as a viscous-dynamic problem. However piles under earthquake excitations or pile driving analysis, which is associated with large amplitudes of vibrations and penetration, should be considered as a strongly nonlinear-dynamic problem, [12-13]. The mono-pile windmill foundation at Horns Rev is analyzed here for maximum static and dynamic loads. 3D nonlinear FEM design is carried out for static loads employing ABAQUS program. 3D axisymmetric viscous-dynamic analysis is carried out for dynamic loads as small vibration amplitudes are expected for a windmill turbine foundation structure. Self developed FEM programs are used in this case. A majority of the bridges in the United States are supported on deep foundations. The economical design and construction of a pile foundation depends on the use of rational procedures to determine pile load capacity. Additional, unwarranted costs can result from either inadequate or overly conservative design and from construction claims related to pile driving difficulties. A static load test is conducted to measure the response of a pile under applied load. Conventional static load test types include axial compressive, axial tensile and lateral load testing. The cost and engineering time associated with a load testing program should be justified by a thorough engineering analysis and foundation investigation. An adequate pile foundation design requires detailed subsurface exploration, appropriate soil testing, subsurface profile development, static pile analyses and selection of optimum pile type(s). Static load tests provide the best means of determining pile capacity and, if properly designed, implemented and evaluated, should pay for themselves on most projects. Depending on availability of time and on cost considerations, the load testing program may be included either in the design or in the construction phase. Dynamic load tests, performed in conjunction with static load tests, greatly increase the cost-effectiveness of a pile load test program and should be specified whenever piles installed by impact driving are load-tested. Many different procedures have been proposed for conducting pile load tests. The main differences are in the selection of loading systems, instrumentation requirements, magnitude and duration of load increments, and interpretation of results. The objective of this manual is to present a comprehensive, easy-to-follow guide describing the steps required in planning, conducting and interpreting the results of static load tests on driven piles and drilled shafts. It is intended to serve as a reference for experienced engineers and as a learning aid for those not experienced in pile load testing. Types of testing covered include axial compressive, axial tensile and lateral load tests. A brief description of dynamic pile load testing is included in the Appendix. The purpose of this manual is to provide a detailed discussion of techniques used for the design/analysis of pile foundations. Several of the procedures have been implemented. Theoretical development of these engineering procedures and discussions of the limitations of each method are presented. The purpose of a pile foundation is to transmit the loads of a superstructure to the underlying soil while preventing excessive structural deformations. The capacity of the pile foundation is dependent on the material and geometry of each individual pile, the pile spacing (pile group effect), the strength and type of the surrounding soil, the method of pile installation, and the direction of applied loading (axial tension or compression, lateral shear and moment, or combinations). Except in unusual conditions, the effects of axial and lateral loads may be treated independently. Research at Berkeley more than three decades ago gave new insight into the behaviour of axially-loaded piles in clay. Numerous experiments and analytical studies performed since, many of which have been supported by the oil industry with respect to offshore platforms, have added significantly to a better understanding of the problem. Yet, the prediction of the “real” behaviour of such piles with effective-stress methods remains far beyond the present capabilities of geotechnical engineers. A brief discussion is presented to elucidate the factors involved in the interaction between a pile and the clay with a view of establishing fundamental concepts. Models are described that serve as guidance to further research. Some results of studies at Berkeley and elsewhere are presented that are relevant to an improved understanding. The thrust of the paper is to lay out the kinds of experiments that must be performed if the problem of an axially-loaded pile in clay is to be solved rationally. Further development of methods to predict the load versus settlement of a pile in soft clay must await the collection of a body of reliable data from field measurements. The discussion that is presented is built around the behaviour of a single pile for simplicity but the concepts presented apply to a group of closely-spaced piles. Also, for simplicity only the load transfer in side resistance is considered. End bearing is important, of course, but for a pile in soft clay the load carried in end bearing is frequently a small fraction of the load carried in side resistance. The use of piling for machine foundations can add flexibility for the designer, help solve special problems, and possibly reduce costs . A very complete method of analysis is presented with great flexibility in options available as well as a catalogue of very accurate pile models. A design for a power plant using the method is related as an example. Note: another paper in a similar vein is Dr. Saul’s “Pile Foundation Analysis,” which is also available. M.P. Davies, ConeTec Investigations Ltd.
A. Sy, Klohn Leonoff Ltd. The prediction of axial pile capacity is a complex engineering problem. Traditional methods of data collection and subsequent analyses are frequently in error when compared to full-scale load tests. Cone penetration testing (CPT) provides a means by which continuous representative field data may be obtained. This paper compares the predictions from thirteen axial pile capacity methods with the results obtained from eight full-scale pile load tests on six different piles. The piles were steel pipe piles driven into deltaic soil deposits. The thirteen prediction methods, separated into direct and indirect classes, used data obtained from the CPT as input for analyses. A brief evaluation of each method investigated is presented and the preferred methods of analyses are identified. The natural variability of intermediate geomaterials (IGM’s) exacerbates uncertainties in deep foundation design and may ultimately increase construction costs. This study was undertaken to investigate the suitability of conventional pile capacity formulations to predict the axial capacity of piles driven into IGM formations. Data from nine Montana Department of Transportation bridge projects were collected, compiled and analysed. Axial pile analyses were conducted using a variety of existing method and computer programs, including: DRIVEN, GRLWEAP, FHWA Gates driving formula, WSDOT Gates driving formula, and an empirical method used by the Colorado Department of Transportation. The results of the analyses were compared to pile capacities conducted using the CAPWAP program. The capacity comparisons clearly demonstrated the inherent variability of pile resistance in IGM’s. Most of the projects exhibited considerable variation between predicted capacities calculated using DRIVEN and measured CAPWAP capacities. For example, five of the six restrike analysis were overpredicted using DRIVEN, one by as much as 580%! The majority of shaft capacity predictions for cohesionless IGM’s were less than the measured CAPWAP capacities; the worst case was a 400% under prediction (a factor of 5.) Toe capacity predictions were also quite variable and random, with no discernable trends. This study indicates that the traditional semiempirical methods developed for soil by yield unreliable predictions for piles driven in to IGM deposits. The computed results may have little to no correlation with CAPWAP capacities measured during pile installation. Currently, CAPWAP capacity determinations during pile driving or static load tests represent the only reliable method for determining the capacity of piles driven into IGM formations. Following the previous investigation reported in the first part on vertical piles, this second part of the paper presents an analysis of the results of loading tests on rigid batter piles under inclined load in sand. The bearing capacity of axially loaded batter piles is discussed by comparing experimental results and theoretical estimates. The theory for ultimate resistance of rigid vertical piles under horizontal loads is extended to that of laterally loaded batter piles. Model test results are compared with those of theoretical estimates and good agreement is found. Methods of analysis of vertical piles under inclined loads are extended to those of rigid batter piles under inclined loads in sand and the analysis is compared with some test results. The dynamic response to laterally loaded single piles and pile groups (each consisting of four evenly-spaced piles, and spaced at different distances in each group) embedded in loose, dense, dry and saturated sands, is studied using centrifugal modeling techniques. The response of single piles and pile groups to forced vibrations was found to depend strongly on the magnitude and frequency of loading as well as the density of the soils. The results indicate that, as the level of force increased, 1) nonlinear softening behaviour was evidenced by a decrease in the resonant frequency of the soil-pile system, 2) there was an increase in internal soil-pile damping, and 3) the maximum bending moment moved progressively deeper below the soil surface and increased substantially in magnitude. Also, significant interaction effects were observed with close pile spacing. Finally, the experimental stiffness and damping results were compared with theoretical values as predicted by Novak’s work. The recent development of mathematical models for synthesizing load deformation behaviour of pile groups suggests the need for calibrating such models to field behaviour. Two generic models described herein are used t o model vertical load-deformation characteristics of five full – scale compression tests of pile groups in a variety of clay soils. Values of input parameters necessary to achieve reasonable compatibility with measurements are different in the two models. Those differences are explainable in terms of model mechanics. An extension of compression behaviour to load-uplift behaviour is described. The purpose of this study is to assess the accuracy and precision with which five methods can predict axial pile capacity. The methods are the Engineering News formula currently used by Wisconsin DOT, the FHWA-Gates formula, the Pile Driving Analyzer, the Washington State DOT. Further analysis was conducted on the FHWA-Gates method to improve its ability to predict axial capacity. Improvements were made by restricting the application of the formula to piles with axial capacity less than 750 kips, and to apply adjustment factors based on the pile being driven, the hammer being used, and the soil into which the pile is being driven. Two databases of pile driving information and static or dynamic load tests were used evaluate these methods. Analysis is conducted to compare the impact of changing to a more accurate predictive method, and incorporating LRFD. The results of this study indicate that a “corrected” FHWA-Gates and the WSDOT formulas provide the greatest precision. Using either of these two methods and changing to LRFD should increase the need for foundation (geotechnical) capacity by less than 10 percent. Pile Foundations: The state of the art concerning the design of pile foundations is presented. Topics presented include design philosophy, design methods, and the computer programs which are currently available for rigid structures. Selection of the preferred design method is made giving consideration to the types of structures for which they should be used. Recommendations are also made concerning the adoption of a standard computer program for Corps-wide use. Control of seepage quantity, seepage forces and erosive currents. This paper further discusses the theory and practice of structural design, evaluates available computer programs, and makes recommendations for the development of future programs. For offshore structures in deep water, piles are being designed to withstand cyclic tension, due to uplift and wave loading, throughout their design life. However there is a scarcity of data concerning the load levels which can be safely applied in this manner. This paper reports tensile tests on a heavily instrumented 10 metre long pile jacked into glacial till. Previous work had shown satisfactory pile behaviour under cyclic tensile loads peaking at up to 48% of the ultimate tensile capacity, and so this work was aimed at investigating pile response to more severe load levels, approaching failure. Cyclic tests were performed with varying peak loads up to 80% of the initial static capacity, and up to 13,500 cycles were applied depending on pile response. The pile sustained encouragingly high loads without serious deformation, but failure did occur during the most severe test, when the peak load was nominally 80% of the ultimate tensile capacity. Pile response analysis provided insight into compression pile design methods when applied to tension piles. Alpha and Lambda methods, but not the Beta method, estimated i ultimate tensile capacity well, whilst stiffness was greater than implied by published T-Z curves. An overview of this method, developed as an improvement of the API methods which were (and are) standard for the estimation of static axial capacity of offshore piles. Includes a detailed description of the method and a worked example. As a pile is driven into semi-cohesive soils such as chalk, the soil around the pile is remolded and undergoes temporary reduction in shear strength. Thus, the soil resistance during driving can be considerably less than the static resistance that will develop after pile driving is interrupted or terminated due to set up around the pile. This characteristic of increase in soil strength, i.e., soil set up, is one of the most important considerations in planning a successful offshore pile installation. An underestimate of the true effect on the soil set up might result in unanticipated pile driving refusal. On the other hand, when easy driving is experienced near the design penetration because of the loss of soil strength due to remolding being greater than expected, it might mislead the installation engineer to erroneously decide to drive the piles deeper than the original design penetration until high blow counts are achieved. Both cases of ill judgment would result in additional expensive offshore operations such as jetting or drilling for the former and mobilization of additional pile materials and redriving for the latter. Paul J. Cosentino, Ph.D., P.E., Edward H. Kalajian, Ph.D., P.E., Thaddeus J. Misilo III, Yeniree Chin Fong, M.S., Katie Davis, Fauzi Jarushi, M.S., Albert Bleakley, M.S., P.E., Mohamad H. Hussein, P.E., and Zan C. Bates, P.E. The Florida Department of Transportation has experienced problems when installing large diameter displacement piles in certain soils. During driving, piles rebound excessively during each hammer blow, causing delays and as a result they may not achieve the required design capacities as specified by current FDOT specification 455-5.10.2. Piles driven at numerous locations have recorded rebound values well over 1 to 2 inches per blow. The objective of this research was to determine geotechnical testing protocol that would help engineers anticipate high rebound. The literature review revealed high pile rebound sites throughout North America. This problem typically occurred when displacement piles were driven into medium dense or stiff saturated silts and clays, using single acting hammers. Hammer blows between 2 and 50 blows per inch were recorded. Computer models indicated that both the soil quake and pile rebound were high. In Florida, a geologic layer known as the Hawthorn Group was encountered when high pile rebound occurred. An extensive laboratory and field testing program was conducted at three existing FDOT project sites. Two were located in the Orlando area and the third in the Florida Panhandle. The field testing included Standard Penetration Borings with N-values; Pocket Penetrometer unconfined compressive tests; Cone Penetrometer soundings that produced point bearing; sleeve friction and pore water pressures; PENCEL Pressuremeter tests that produced in situ stress-strain data; and Dilatometer soundings to produce lift-off pressures and elastic moduli. The lab testing on disturbed samples produced natural moisture contents, grain size and hydrometer data, Atterberg limits; and tests on thin walled tube samples produced permeability and consolidated undrained triaxial testing parameters, including elastic moduli, friction, and cohesion. To clarify the extent and amount of rebound, the test results were evaluated with Pile Driving Analyzer data obtained from the original installations at the three sites. The PDA data from the Central Florida sites revealed one high pile rebound zone through which the piles were able to be driven over a lower zone that prevented pile penetration. This lower zone, which prevented pile penetration, indicates that there was a zone of influence effect on these displacement piles. SPT N-values plotted versus elevation data indicated a large change in N-values when high pile rebound occurred. At the Central Florida Sites, N-values increased from 6 to 7 pile diameters into the rebound zone, while excessive rebound changed into pile bouncing when penetration was prevented from 7.5 to 9 pile diameters into the rebound zone. These changes also corresponded to the upper elevations reported for the Hawthorn Group. SPT N values increased to over 50 blows per foot at about the same elevations that the PDA data indicated that the displacement piles were no longer able to achieve penetration (i.e., the piles were bouncing). The silt content increased to over 18 percent at the bouncing elevations. The pocket penetrometer unconfined compression results increased to 1.9 tsf (182 kPa) at about this same elevation. CPT point bearings values at the bouncing elevations increased to over 65 tsf (6,234 kPa), while sleeve friction values increased to over 1.1 tsf (106 kPa). The CPT data produced negative pore water pressures in the soils overlying the rebound zone, which increased to positive values in excess of 100 psi (700 kPa) for all three sites, again at about the bouncing elevations. These variations in pore water pressures in combination with the increased stiffness and high silt contents in saturated soils, could be the geotechnical conditions that would produce high pile rebound. Large changes in soil properties occurred between the overlying no rebound zone and lower rebound zone, determined from PDA data. These changes were reported as property ratios calculated as the lower rebound zone divided by the overlying no rebound zone. The grain size ratios showed that the silt content increased by a factor of 1.9 in the rebound zone. The pocket penetrometer unconfined compression ratios increased by a factor of about 2.6 in the rebound zone. The CPT point and friction data increased by a factor of about 3.8 and 4.4 respectively in the rebound zone, and the raw N-values increased by a factor of about 3.7 in the rebound zone. A statistical evaluation of thirteen geotechnical parameters indicated that a nonlinear logistic regression model with silt content and the pocket penetrometer unconfined compression strength inputs could be used to predict rebound. The model correctly predicted high rebound over 70 percent of the time for two of the three sites, corresponding to the sites where clays were present in the rebound zone, rather than the site with predominantly silty fine sand in the rebound zone. The site where the prediction was poor also had a large variation in permeability throughout the profile. In order for engineers to evaluate and develop these ratios the following procedure has been proposed. First a detailed soil profile should be constructed, which includes geologic and construction history data, plus the various geotechnical engineering parameters plotted versus elevation. Then changes in the soil strength and stiffness should be determined by evaluating the variations of the parameters throughout the profiles and the silt content and pocket penetrometer unconfined compressive strength values should be input into the recommended logistic regression equation. Once these variations and probabilities are established, then ratios for each parameter of the underlying higher strength/stiffness soil to the overlying lower strength/stiffness soil must be established. Outliers from these layers should be eliminated and the ratios determined should be compared to those presented. A flow chart outlining this process was developed to help guide engineers through the decision making process for anticipating high pile rebound. It was divided into sections for establishing the required input data (i.e., soil profile, testing results such as N-values, silt content etc. ), the output needed, which would be the soil profiles, before the ratios can be used to conduct the high pile rebound evaluation. High pile rebound was determined to be a concern when the following combination of effects occurred. It was a concern if the silt ratio increased by a factor of 2, and the N-value ratio increased by a factor of 3, and the Hawthorn Group was encountered. It was also a concern when the silt ratio increased by 2, and the point bearing and or sleeve friction ratios increased by about 4, and the Hawthorn Group was encountered. If pocket penetrometer ratios increase by about 2.5, and the silt content increases by 2, and the Hawthorn Group was encountered high pile rebound was also a concern. Benefits from implementing this research include the development of a new geotechnical testing and evaluation approach, which includes a flow chart that will enable engineers to anticipate and possibly avoid high pile rebound during construction. Avoiding this problem will result in significant monetary savings for FDOT. Data from future pile driving projects can be used to validate this research and improve the data base and the research recommendations. This study focused on determining unit shaft and toe resistance of large diameter open-ended steel and concrete cylinder piles in different soil types using in situ SPT data. A total of 35 piles ranging from 36″ to 84″ (most commonly 54″) O.D. piles were collected from Florida, California, Virginia, Maryland, etc. Each had a static load test, with a few (9) instrumented with strain gauges along their length. Twenty-one (21) of the static load tests reached Davisson’s capacity used to assess failure. The primary work reported here consists of consolidating the rigid cap pile analysis programs of two U.S. Army Engineer Districts, St. Louis and New Orleans. The new program, LMVDPILE, is documented with example problems in this report. The work was performed at the request of the Lower Mississippi Valley Division and provides the capability of analysing two- or three-dimensional pile foundations according to Division guidelines. The report includes discussions of factors influencing pile group behaviour and of the analytical procedure, a user’s guide, and several example problems for the pile analysis program LMVDPILE. Also included are two appendices. Appendix A describes the computer program PILESTIF which computes the pile head stiffness coefficients in soils with varying moduli. Appendix B describes the computer program FDRAW which is an interactive graphics post-processor. Each appendix includes a general introduction, a user’s guide, and example problems. This paper describes the results of numerical analysis of the effects of installing a driven pile. The geometry of the problem has been simplified by the assumption of plane strain conditions in addition to axial symmetry. Pile installation has been modeled as the undrained expansion of a cylindrical cavity. The excess pore pressures generated in this process have subsequently been assumed to dissipate by means of outward radial flow of pore water. The consolidation of the soil has been studied using a work-hardening elasto-plastic soil model which has the unique feature of allowing the strength of the soil to change as the water content changes. Thus it is possible to calculate the new intrinsic soil strength at any stage during consolidation. In particular the long-term shaft capacity of a driven pile may be estimated from the final effective stress state and intrinsic strength of the soil adjacent to the pile. A parametric study has been made of the effect of the past consolidation history of the soil on the stress changes due to installation of the pile. The results indicate that for any initial value of overconsolidation ratio, the final stress state adjacent to the’pile is similar to that in a normally one dimensionally consolidated soil except that the radial stress is the major principal stress. A method is described whereby the model of pile installation and subsequent consolidation may be extended to clays which are sensitive. The method is used to predict changes in the strength and water content of soil adjacent to a driven pile which compare well with measurements from two field tests on driven piles. It is also shown that the rate of increase of bearing capacity of a driven pile may be estimated with reasonable accuracy from the rate of increase in shear strength of the soil predicted from the analysis. Piles are often driven open ended into dense sand with the aim of increasing the ease of penetration of the pile. Generally, the pile tip contains an internal driving shoe in order to allow soil to enter the pile, forming a soil plug. The type of shoe influences the length of the soil plug and the ease of penetration of the pile. The paper describes the results of field tests undertaken on a 2.2 m long, by 51 mm diameter, pile, fitted with five different driving shoes and driven into dense sand. Dynamic and static load tests showed good correlations between the type of driving shoe, plug formation rate, and eventual end bearing capacity. It was found that the dynamic measurements provided a lower bound estimate of axial capacity. The measured capacities were significantly higher than those estimated from current design codes. A rational procedure to model the dynamic non linear behaviour of the skin friction of piles during driving is presented. It rests on the fundamental analysis of the embedded cylinder in a semi infinite medium. The static model suggested by Randolph and Wroth, which can accomodate heterogeneity is investigated under dynamic behaviour. The model is extended in the field of large deformations, with the adoption of a simple hyperbolic stress-strain law. Basic consideration under static loading conditions shows that the plastic zone around the pile remains very localized. This observation is enhanced in the dynamic case. The paper reviews the results of theoretical and experimental research into dynamic behaviour of piles and pile groups conducted at The University of Western Ontario, The importance of soil layering is experimentally demonstrated and an approximate theory to account for it is outlined. Basic features of dynamic behaviour of pile groups are discussed. Dynamic response of footings and structures supported by piles can be predicted if dynamic stiffness and dampening generated by soil-pile interaction can be defined. An approximate analytical approach based on linear elasticity is presented, which makes it possible to establish the: dimensionless parameters of the problem and to obtain closed-form formulas for pile stiffnesses and damping. All components of the motion in a vertical plane are considered; that is horizontal as well as vertical translations and rotation of the pile head. The stiffness and damping of piles are defined in such a way that the design analysis of footings and structures resting on piles can be conducted in the same way as is applied in the case of shallow foundations. This paper undertakes, through use of a continuous elastic theoretical pile model, to predict the static bearing capacity of example piles from dynamic measurements taken while driving the piles. The field measurements referred to, made on both reduced-scale and full-scale piles, consist of the force and acceleration measured as functions of time at the top of the piles during driving. The prediction scheme employs an four-parameter model of elastic and rigid body pile response to the measured hammer input. When this scheme is employed to match analytically the time-varying pile velocity and displacement derived from the acceleration measurements, it then also yields an estimate of the pile ultimate static bearing capacity valid just after driving. This bearing capacity is verified by direct comparison with field static tests. For cases where a “set-up” time after initial driving has occurred, reuse of the method reveals the change in bearing capacity realised by the pile. For this, at least one blow of redriving is required. Finally, a simplified approximation to the given scheme is presented for engineering use, suggesting, among other things, that a routine dynamic test may be employed to determine pile static bearing capacity. The objectives of this investigation were: (1) To determine soil damping constants for sands and clays by conducting laboratory impact tests on these soils; and (2) to correlate these soil damping constants with common soil properties such as void ratio and angle of internal shearing resistance in sands, and liquidity index and moisture content in clays. Impact pile driving greatly alters the behaviour of the soil surrounding the pile. The changes of soil responses make it is very difficult to estimate Smith soil parameters even by means of Pile Driving Analyzer (PDA) monitoring and CAPWAP Analysis. Although GRL, Inc. had recommended typical values of the Smith damping and quake parameters for different types of soils and pile sizes, many researches indicated that the Smith parameters were not only depended on the soil types and pile sizes, also the pile driving conditions. The ranges of the Smith soil quake and damping from published data were so widely scattered that it was very difficult to select reasonable values for Wave Equation Analysis. The objectives of this research is to explore the meanings of the Smith soil model in Wave Equation Analysis and identify the key variables affecting the determination of the Smith soil parameters. Using the UF pile database for regression analysis, semiempirical equations for estimating the Smith soil parameters were developed based on conventional soil properties. Dynamic testing has been used for estimating pile capacities and hammer suitability since 1888 when the first driving formula, i.e., the Engineering News formula, was published. Up to the early seventies, most if not all-driving formulas adopted into codes were derived from the principles of impulse-momentum conservation. In the late sixties, research focused on predicting both stresses and pile capacities based on wave mechanics. The results were the creation of programs such as WEAP (GRL, 1993), PDA (Pile Dynamics Inc., 1992), and CAPWAP (GRL, 1996). More recently, energy approaches based on both wave mechanics and energy conservation (Paikowsky, 1992) have been developed to determine the pile capacity. However, until recently the accuracy of the older versus the newer methods was unknown, especially for Florida soils conditions. The focus of the research mainly consisted of improving the field instrumentation. A number of different technologies were investigated: laser, optical, and radio. Given the economical constraints, location of the needed information (i.e., pile tip), the radio option (wireless) was pursued. The effort started from initially transmitting an analogue signal from embedded strain gauges and accelerometers cast in the pile. The latter had significant noise interference, resulting in very poor signal recovery. Next, a frequency approach was tried. However, due to limited bandwidth of the transmitters, the approach resulted in a limited the number of channels, which could be broadcasted. Finally, multiple analogue (i.e., multiple gauges) signals were converted to a single digital signal which was transmitted through one transmitter (wireless) which was picked up by a receiver and decoded (recover multiple channels). Also, due to cost constraints (gauges, transmitters, etc. were not reusable, i.e., lost with pile), a new accelerometer was required. Using new technology, a piezoelectric accelerometer was developed for this application with an estimated mass production cost of thirty dollars. The overriding criterion in designing piles to support offshore structures is usually the required axial capacity of the pile. The number of piles, and frequently the diameter of each pile, may be fixed at an early stage of the design, while the final length of each pile is only settled after detailed site investigation and the application of a variety of design procedures for estimating the profile of ultimate skin friction. The stiffness of the final foundation must also be estimated accurately in order that the dynamic performance of the structure may be assessed. Modern methods of calculating the stiffness of a piled foundation involve first estimating the axial and lateral stiffness of a single, isolated, pile, and then using appropriate interaction factors and frame analysis techniques to arrive at a stiffness matrix for the complete pile group. A difficult task for engineers and contractors is estimating the lengths of friction piles. A theoretical equation has not been developed that results in accurate pile length estimates. Empirical methods, rules of thumb and judgment based on experience are used. This paper presents analytical guides for estimating the lengths of friction piles that the author has found useful. There is no claim of originality for these guides since they were developed from methods proposed by others. The use of these guides requires a critical review of the results obtained to insure that they are reasonable. Estimating length of friction piles is used primarily by, foundation engineers to assure that adequate pile-friction capacity is achieved and by engineers and contractors to estimate pile contract quantities. The guides presented herein meet both of .these needs. The writer judges these guides to be applicable for driven piles up to 150 ton design load. The basic data required to utilize these guides are boring logs containing the Standard Penetration Test (SPT) data, soil descriptions, and information on the proposed type of piling to be used such as type, design load and shape. It is not the intent of the author to imply that these guides should replace pile load tests. Rather, they can be used as a means to estimate the length of load test piles, to supplement he load test results where soil conditions are quite variable and to provide an estimate of pile quantities prior to the making of pile load tests. These guides are not intended to be used to evaluate potential pile settlement or pile group effects. Additional studies, which are beyond the scope of this paper, are required for such evaluations. Two types of mathematical models for pile setup prediction, the Skov-Denver model and the newly developed rate-based model, have been established from all the dynamic and static testing data, including restrikes of the production piles, restrikes, static, and statnamic tests of the test piles at the LA-1 relocation project. Pile testing data from other sites, such as Mo-Pac- Railroad Overpass, Bayou Liberty, and Calcasieu River etc., have been used for model verification. Twenty-one out of the 115 restrike records of the production piles and three load testing records from the nine tested piles were obtained at or longer than two weeks after pile installation. The conventional Skov-Denver model is achieved with the setup parameter A equal to 0.57, and the normalized ultimate shaft capacity from the rate-based model is 1.846 on the basis of the entire restrike and load testing data. Based on the rate-based model with limited amount of long-term production pile restrike data, it is predicted that the ultimate shaft capacities of the piles were about twice the measured shaft capacities at the 24-hour restrike. In general, the piles at the LA-1 relocation project reaches about 90~95 percent of the ultimate shaft capacities within two weeks after installation. Preliminary verification and prediction work has indicated that capacities of those piles at two-week or longer-time restrike or load testing were mostly under predicted if the entire database was used for the model prediction. The setup parameter and the normalized ultimate shaft capacity have turned to 0.65 and 1.985, respectively. Selected piles with restrike or load testing at or more than 200 hours after the end of driving have given the setup parameter of 0.65 and the normalized ultimate shaft capacity of 1.985. Predictions with the new rate-based model are improved. It demonstrates that long-term restrike or long-waiting load testing data have a profound and critically important role in improving reliability and accuracy of the prediction models. An empirical relationship, between the measured pile capacity at 24-hour restrike and the calculated pile capacity based on the Cone Penetration Test (CPT) log, has been established. It will make pile setup prediction operable without the 24-hour restrike data. As the last portion of the research project, a simple Load and Resistance Factor Design (LRFD) calibration of pile setup has been performed. Resistance factors have been achieved corresponding to different target reliability indices and dead load to live load ratios. This study presents an evaluation of the performance of eight cone penetration test (CPT) methods in predicting the ultimate load carrying capacity of square precast prestressed concrete (PPC) piles driven into Louisiana soils. A search in the DOTD files was conducted to identify pile load test reports with cone penetration soundings adjacent to test piles. Sixty piles were identified, collected, and analysed. The measured ultimate load carrying capacity for each pile was interpreted from the pile load test using Butler-Hoy method, which is the primary method used by DOTD. The following methods were used to predict the load carrying capacity of the collected piles using the CPT data: Schmertmann, Bustamante and Gianeselli (LCPC/LCP), de Ruiter and Beringen, Tumay and Fakhroo, Price and Wardle, Philipponnat, Aoki and De Alencar, and the pen pile method. The ultimate load carrying capacity for each pile was also predicted using the static method, which is used by DOTD for pile design and analysis. Prediction of pile capacity was performed on sixty piles, however, the statistical analyses and evaluation of the prediction methods were conducted based on the results of thirty five friction piles plunged (failed) during the pile load tests. End-bearing piles and piles that did not fail during the load tests were excluded from the statistical analyses. An evaluation scheme was executed to evaluate the CPT methods based on their ability to predict the measured ultimate pile capacity. Four different criteria were selected to evaluate the ratio of the predicted to measured pile capacities. These criteria are: the best-fit line, the arithmetic mean and standard deviation, the cumulative probability, and the Log Normal distribution. Each criterion was used to rank the prediction methods based on its performance. The final rank of each method was obtained by averaging the ranks of the method from the four criteria. Based on this evaluation, the de Ruiter and Beringen and Bustamante and Gianeselli (LCPC/LCP) methods showed the best performance in predicting the load carrying capacity of square precast prestressed concrete (PPC) piles driven into Louisiana soils. The worst prediction method was the pen pile, which is very conservative (underpredicted pile capacities). The Illinois Department of Transportation (IDOT) estimates pile lengths based on a static analysis method; however, the final length of the pile is determined with a dynamic formula based on the pile driving resistance exhibited in the field. Because different methods are used for estimating and for acceptance, there is usually a lack of agreement between the estimated length and the driven length of pile. The objective of this study is to assess the ability of the methods currently used by IDOT, to assess other methods for estimating pile capacity, to improve the methods if possible, and to determine resistance factors appropriate for the methods. This study reports pile load test data along with pile driving information and subsurface information, and uses this information to investigate and quantify the accuracy and precision with which five different static methods and five different dynamic formulae predict capacity. These static methods are the IDOT Static method, the Kinematic IDOT (K-IDOT) method, the Imperial College Pile (ICP) method, Olson’s method and Driven. The dynamic formulae are the EN-IDOT formula, the FHWA-Gates Formula, the Washington State Department of Transportation (WSDOT) formula, the FHWA-UI formula, and WEAP. Three databases were assembled and used to quantify the ability of these methods to predict capacity. Results suggest that the three dynamic formulae: WS-DOT, the FHWA-Gates, and the UI-Gates provide similar accuracy. However, the WS-DOT formula is simple to implement and predicts capacity most consistently for the databases reviewed in this study. A value of 0.55 is recommended for the resistance factor for redundant piling. A rigorous flexural analysis for partially embedded piles subjected to axial and lateral loads is presented. The soil reaction in the embedded portion of the pile is obtained using both modulus of subgrade reaction theory. Piles embedded in both cohesive and cohesionless soils have been considered. The results of the analysis show that the vertical load can increase the lateral deflection to an extent of about 7-16% depending upon the degree of fixity if the vertical load is of the order of 10% of the buckling load. A comparison of the results of the analysis with those obtained using “equivalent cantilever method” has been made. The comparison suggests that the “equivalent cantilever method” needs modifications even when used to analyse a pile subjected to lateral loads only. The installation of steel sheet or bearing piles by impact hammer or by vibrodriver transmits energy into the ground which can be observed at the surrounding ground surface as transient or periodic vibration. The vibrations may be disturbing to neighbours, and may pose a risk of damage to nearby structures and buried services. Within an extensive programme, ground vibrations have been measured on a large number of piling sites throughout England and Scotland. Vibration components in the radial, transverse and vertical directions at five stations were recorded simultaneously to allow time-based (true) vector resolution, and detailed study of attenuation. Several observations have been deduced directly from the data, but because of the large quantity of data covering different types of hammer, pile and ground, a data base has been constructed. Estimation of probable vibrations in a given situation can be made by reference to similar case studies extracted from the data base. An expert system for estimation of vibrations has also been developed. From the many records, covering a range of combinations of soil types, hammers and pile sections, it is shown that vibrations attenuate fairly rapidly to below levels at which minor structural damage is likely. However, the human frame is so sensitive to vibration that annoyance may be caused by pile driving at distances of more than 30m. A specific test to measure dynamic strains in brickwork induced by pile driving is also reported. Despite severe vibration, no damage occurred. Whenever piles are driven, soil is displaced. The movements induced in the soil itself may have several undesirable consequences, including the lift or lateral displacement of those piles that have already been driven. This study uses data from a number of sources to analyse the heave and lateral movement of the soil during pile driving. This paper reviews reviews existing data on the effects of cyclic degradation and loading rate on skin friction and soil modulus for axially loaded piles. Some of these data are used in a theoretical analysis of cyclic axial response, and the effects of such factors as cyclic load level, number of cycles, loading rate and group effects are investigated. Group effects are shown to have a very significant influence on both the ultimate load capacity and cycle pile stiffness. Finally, a procedure is described whereby the behaviour of a pile subjected to variable cyclic loading can be estimated. The MCA 9206180 dry dock facility being constructed on Kwajalein Island of the Marshall Islands is to be supported by 12 groups of driven piles, 6 groups supporting each side of the dry dock. Each group contains 12 piles. the coral sands. The capability of the pile foundation to adequately support the dry dock could not be determined from the static load test results performed on piles driven near the headwall and from other existing data. The prudent course of action was to complete a supplemental field investigation of the offshore production piles. This investigation was conducted 7 months after the installation of the pile foundation and included a static load test, the driving of an indicator pile and the restrikes of 10 of the production piles. The results of this investigation showed that the pile foundation has adequate bearing capacity to support the dry dock. The 7-month delay before initiating the supplemental test program permitted dissipation of any excess pore pressures. Evidence was found indicating that driving of the production piles had densified the sands and could have contributed to generation of excess pore pressures. The delay prior to the supplemental investigation also could hav e provided time for a recementation mechanism to occur (or to at least begin) in the coral sands. This thesis is a comparison between different geotechnical models which can be used to design single laterally loaded piles. The comparison is useful, because in the daily practice of geotechnical engineering many discussions arise on which model is most suitable in which situation. This is also mainly due to the differences in results between different models. Sharp designs can reduce cost massively. Of course, in literature several researches were already conducted in comparing different models. However, these comparisons were either theoretical comparisons, or comparisons between a single model and measurements. With today’s most used models, comparisons between the models and measurements have not yet been made. The objective of this thesis is therefore to compare the accuracy of the different models and find recommendations on which model can be used best in which situation. nonlinearities. Firstly, the soil stiffness is nonlinear. For small deformations, the soil reacts stiffer than for larger deformations. The maximum soil resistance and stiffness increase nonlinearly with depth and depend nonlinearly on the pile diameter. Then, also the mobilization of the soil resistance along the pile develops nonlinearly. The pile deformation at the top is largest, if the load increases on the pile, deeper soil layers become more active. A large number of vibration measurements on the ground surface and on an adjacent building were performed in connection with the pile driving activities on a site north of Bangkok. Vibration intensity was expressed in terms of peak particle velocity. A statistical comparison with previously collected data from other sites in the Bangkok area revealed that vibrations generated by driving a pile into one of the bearing strata commonly used for foundation piles in this region, i.e., stiff clay or the underlying sand, are not of significantly different magnitude. A previously recommended upper bound for vibrations to be expected could be confirmed. A multiple correlation with penetration data obtained from Dutch cone tests at the site and pile driving records was also attempted but the only variable giving significant contribution was the cone resistance. The correlation, however, was rather weak. This study compares high strain dynamic testing measurements taken near the top of a driven pile to peak particle velocities on the ground surface and sound levels detected in the air some distance from the pile during driving. Based on a sample of installation records from 16 piles driven at the Marquette Interchange Project in Milwaukee, Wisconsin, a series of peak particle velocity plots versus distance, energy and scaled distance were created using traditional horizontal distance and rated hammer energy. These plots were modified using the seismic distance, the diesel hammer potential energy from the calculated stroke, and the energy transferred to the pile top. Incorporating these measurements tended to reduce some of the scatter in the data. More importantly, it was also discovered that components of peak particle velocity in the ground can be well correlated to the total pile resistance measured by dynamic testing. A plot of total resistance versus depth often independently yields the same shape curve as a plot of at least one component of peak particle velocity versus depth. A simple mathematical attenuation model is proposed as an initial step toward utilizing this relationship to predict at least one component of ground motions. Measured peak overpressure (noise) in the air correlated less directly to the quantities measured on the pile, but a conservative and simple mathematical model can still be proposed based on the dynamic testing-measured velocity near the pile top and idealized sound generation and attenuation theories. ODOT typically uses small diameter driven pipe piles for bridge foundations. When a pile is driven into the subsurface, it disturbs and displaces the soil. As the soil surrounding the pile recovers from the installation disturbance, a time dependant increase in pile capacity often occurs due to pile set-up. A significant increase in pile capacity could occur due to the set-up phenomenon. For optimization of the pile foundations, it is desirable to incorporate set-up in the design phase or predict the strength gain resulting from set-up so that piles could be installed at a lower End of Initial Driving (EOID) capacity. In order to address the set-up phenomena in Ohio geology, a research was conducted by compiling pile driving data in Ohio soils obtained from ODOT and GRL, an engineering company dedicated to dynamic pile load testing, located in Cleveland, Ohio. The set-up data of twenty three piles was compiled along with time, pile length, pile diameter. The liquid limit, plastic limit, average clay and silt content, average SPT value were compiled along the pile length. In 91 % cases of the driven piles, some degree of set-up was observed. Correlations among several soil parameters and pile capacities were explored. An equation was proposed between the final and initial load capacities of the piles as a function of time and shown to be in good agreement with the strength gains of driven pipe piles in Ohio soils. Scour is the process and result of flowing water eroding the bed and banks of a stream. Scour at nearly 14,300 bridges1 spanning water, and the stability of river and stream channels in Pennsylvania, are being assessed by the U.S. Geological Survey (USGS) in cooperation with the Pennsylvania Department of Transportation (PennDOT). Procedures for bridge-scour assessments have been established to address the needs of PennDOT in meeting a 1988 Federal Highway Administration mandate requiring states to establish a program to assess all public bridges over water for their vulnerability to scour. The procedures also have been established to help develop an understanding of the local and regional factors that affect scour and channel stability. This report describes procedures for the assessment of scour at all bridges that are 20 feet or greater in length that span water in Pennsylvania. There are two basic types of assessment: field-viewed bridge site assessments, for which USGS personnel visit the bridge site, and office-reviewed bridge site assessments, for which USGS personnel compile PennDOT data and do not visit the bridge site. Both types of assessments are primarily focused at assisting PennDOT in meeting the requirements of the Federal Highway Administration mandate; however, both assessments include procedures for the collection and processing of ancillary data for subsequent analysis. Date of bridge construction and the accessibility of the bridge substructure units for inspection determine which type of assessment a bridge receives. A Scour-Critical Bridge Indicator Code and a Scour Assessment Rating are computed from selected collected and compiled data. PennDOT personnel assign the final Scour-Critical Bridge Indicator Code and a Scour Assessment Rating on the basis of their review of all data. An instrumented laboratory study of the subject. Resistance factors for steel, timber and concrete piles as structural members, derived with First-Order Second-Moment (FOSM) methods, and an evaluation of the reliability levels inherent in current design codes are presented. The results are included in a proposed format for a pile design and installation specification offering additional resistance factors reflecting the reliability of the means used to establish installed pile capacity and the construction control procedures employed. In recent years much research effort has been devoted to the development of an effective stress approach to pile design in clays. Although the objectives of such research are simple, the problem has proved to be of such complexity that only limited progress has been made to date. The major problems arise in the prediction of the changes in effective stresses which occur as a result of both installation and the subsequent loading. Much recent work has concentrated on predicting stress changes arising from the installation of, and subsequent consolidation around, driven piles in clay. Much progress has been made in this respect. However the same attention has not been given to the effects of loading such piles after installation. In this paper the results of a numerical investigation into the mobilisation of shear resistance along the shaft of a full displacement pile are presented. The analysis has considered the behaviour of the soil around a short segment of a very long pile, well away from the influences of both the pile toe and the ground surface. The pile is assumed to have been installed by driving and only loaded after any excess pore pressures have dissipated. Different foundation concepts have been presented and applied to offshore windmill turbines designed and constructed all over the world. The advantages and disadvantages of different concepts are already outlined and research from universities and private companies continues with this respect. The choice of the foundation concept for an offshore windmill turbine is governed by several factors, which include soil conditions, the water depth at the location, the scour and erosion, the capacity of the turbines, the foundation cost etc. It is investigated that for offshore windmill turbines the foundation costs are approximately 25% of the total cost. There are basically three types of foundations applied to different windmill parks. These are: gravity based, skirted and piled foundations. Piled foundations are the most common foundations for offshore structures. Driving the piles into the seabed is the standard method of installation. Considering the soil conditions and other factors the mono-pile foundation concept was chosen for the windmill park at Horns Rev, Denmark. Such concept is also applied at Utgrunden and Bockstigen in Sweden and other places. Large diameter mono-piles are generally used for offshore windmill turbines placed at shallow water. A lot of progress has been made in the last decades towards the development of engineering methods for the static and dynamic analysis of the pile foundations. Different approaches can be adopted in solving the problem. The p-y approach or Winkler model, has been widely used to design piles subjected to lateral static or dynamic loading. Based on this approach the lateral soil-structure interaction can be modeled using empirically derived nonlinear springs and dashpots. An overview of the subject from the developer of the Davisson Method for interpreting axial pile capacity from static load tests. Note: Ian Smith not only surveyed numerical methods, he did a great deal to advance them. His book Programming the Finite Element Method (with D.V. Griffiths) is a classic. Numerical methods have been widely used in the offshore piling industry for the past 25 years or so. This paper cannot attempt to be a literature review, but merely sets out the current state of achievement and tries to point the way to future developments. Topics include four main subject areas; quasi-static behaviour of piles and groups, drivability, pore pressure considerations and dynamics. A summary of a pile test and its results performed in conjunction with the Cognac platform in the Gulf of Mexico. The results are reported of an investigation of a group of thirteen 12-inch diameter precast concrete piles driven through 60 ft (18 m) of sensitive marine clay followed by 10 ft (3 m) of silt and sand and 13 ft (4 m) of very dense silt to end bearing in glacial till. The purpose of the test is to study the drivability of the piles through very dense soil and to measure the disturbance caused to the sensitive clay by the driving of displacement piles. The paper presents the soil conditions at the site and the testing program. The test results are discussed and experience gained from the follow-up of the driving of 520 piles at the site is presented. Pile loading tests showed the piles to have an ultimate bearing capacity exceeding 450 tons. It was established that the shaft resistance in the clay during test loading exceeded by 25% the undrained shear strength of the clay as measured by field vane testing. In comparison, an uplift test to failure showed that the uplift shaft resistance along the pile was only 60% of the undrained shear strength of the clay. The pile driving developed large pore pressures in the clay which exceeded the effective overburden stresses. The excess pore pressures dissipated over a period of slightly more than 3 months. Vane testing within the pile group immediately after driving showed that a shear strength reduction of about 15% was caused by the piles.. This report and the accompanying computer code (Software, WBUZPILE) describe the characterization and analysis of piles under axial loads. A combination of different formulas obtained from ALDOT long time experience along with fundamental equations of deep foundations are employed in this program to assess the axial capacity of driven piles. The report focuses on the entry of input data, interpretation of the output results and description of the employed soils and equations. In addition to sand and clay models developed by ALDOT, the report presents modeling formula for silt soils that include sandy silt and clayey silt and weathered rock (soft rock). The current program analysis allows the utilization of the LRFD approach that determines the geotechnical resistance factor based on the calibration by fitting as presented in Chapter 1. In addition to the use of varying values of safety factors and DL/LL, the program user can also use a default resistance factor of 0.71 which is based on a commonly used safety factor of 2 and DL/LL ratio of 2 as recommended by ALDOT. The obtained results are presented numerically and graphically through the output data files and plotted graphs. Several warning messages are built in the program to avoid many of the common mistakes. It should be mentioned that the current version of the program WBUZPILE has the capability of directly uploading the input data files created earlier by the original program BUZPILE with no need for any modifications. Driven piles are commonly used in foundation engineering. Pile driving formulae, which directly relate the pile set per blow to the capacity of the pile, are commonly used to decide whether an installed pile will have the designed capacity. However, existing formulae have been proposed based on empirical observations and have not been validated scientifically, so some might over‐predict pile capacity, while others may be too conservative. In this report, a more advanced and realistic model developed at Purdue University for dynamic pile driving analysis was used to develop more accurate pile driving formulae. These formulae are derived for piles installed in typical soil profiles: a floating pile in sand, an end‐bearing pile in sand, a floating pile in clay, an end‐bearing pile in clay and a pile crossing a normally consolidated clay layer and resting on a dense sand layer. The proposed driving formulae are validated through well documented case histories of driven piles. Comparison of the predictions from the proposed formulae with the results from static load tests, dynamic load tests and conventional formulae show that they produce reasonably accurate predictions of pile capacity based on pile set observations. The ultimate objective of any driven pile is to carry some kind of load. These loads come from a variety of sources, as seen on the right. Once the loads are established, the pile’s resistance to the loads must be established. The interaction of piles and the surrounding soils–axial and lateral–is complex. Computer software and spreadsheets can be very helpful, if certainly not a substitute for sound engineering judgement. BENT1 and PX4C3: two of the earliest programs, suitable primarily for academic use. Click here for information on pile capacity and its determination. Spreadsheet for Microsoft Excel; documentation here. The characteristic load method (CLM) of analysis of laterally loaded piles (Duncan et al., 1994) was developed by performing nonlinear p-y analyses for a wide range of free-head and fixed-head piles and drilled shafts in clay and sand. The results of the analyses were used to develop nonlinear relationships between dimensionless measures of load and deflection. These relationships were found to be capable of representing the nonlinear behaviour of single piles and drilled shafts quite accurately, producing essentially the same values of deflection and maximum moment as p-y analysis computer programs like COM624 and LpilePlus3. The principal limitation of the CLM method is that it is applicable only to uniform soil conditions. The Group Amplification Method was developed by Ooi and Duncan (1994), to extend use of the CLM method to groups of piles and drilled shafts. Values of group amplification factors for deflection and moment were computed using the method developed by Focht and Koch (1973).The original version of the CLM spreadsheet (Brettmann and Duncan, 1996) used the CLM method to calculate deflections and bending moments in single piles, and the Group Amplification Method to calculate deflections and moments for piles in pile groups. It was found that the original version of the spreadsheet resulted in accurate values of moment and deflection for single piles, but often over-estimated deflections and bending moments for the piles in pile groups, as judged by comparison with p-y analysis programs and the results of field load tests. The revised spreadsheet uses p-y multipliers as the basis for improving the accuracy of pile group analyses. The p-y multiplier values used are those recommended by Mokwa and Duncan (2001) based on their field tests and review of recent literature. Note: a helper for this program is available at this site. A program for the analysis of the deflection and capacity of piles under lateral loads. It was developed by Lymon C. Reese and his colleagues at the University of Texas at Austin, and is based on the p-y curve method. The program solves the equations giving pile deflection, rotation, bending moment, and shear by using an iterative process due to the non-linear response of the soil. COM624P is a DOS program which is installed from a self extracting file. Complete instructions and documentation is also available here as well. When the soil immediately below the base of a structure will not provide adequate bearing capacity , piles can be used to transfer load from the structure to soil strata which can support the applied load . This report deals with analysis of the lateral interaction of pile shaft and soil. Examples of such problems encountered by the Corps of Engineers are single-pile dolphins and baffles for grade control structures. A computer program called COM64, along with the documentation, was developed at the University of Texas (tu) at Austin, to analyse laterally loaded pile problems. Analysis performed by Program COM624 is dependent upon soil parameters input to the program. These soil parameters take the form of curves which simulate the nonlinear interaction of the pile and surrounding soil. The tu report also presented criteria for developing these soil response curves in various types of soils. This report consolidates the information available on laterally loaded pile analysis and provides supplementary on Program COM624 (re-designated as COM624G). It describes modifications made in the input procedures and the addition of graphics options. Several examples of laterally loaded pile problems encountered in the Corps are added. Also included is a procedure for non-dimensional analysis of laterally loaded piles which can be used to perform companion hand calculations to verify the results of computer solutions. Download the driven.zip file into a temporary directory. Open the file with an appropriate file and extract the installation file into a temporary directory. Run the installation file, following the instructions. 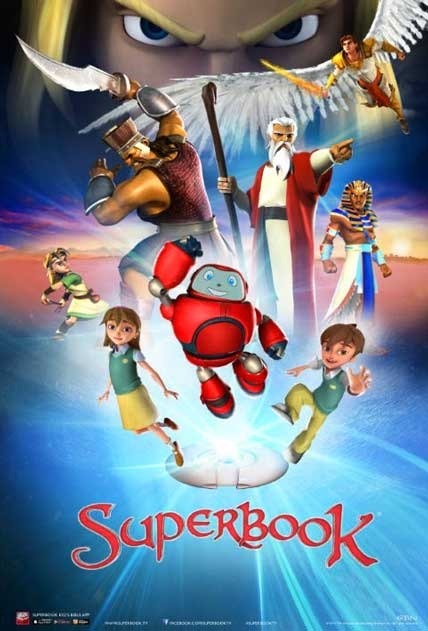 If you need it, download the instruction manual by clicking its hyperlink below. This is a program for the analysis of a laterally loaded pile. It calculates the lateral displacements of the pile for a lateral load and a moment applied at the head of the pile. Input consists of the properties of the soil layers along the pile shaft, and the force and moment applied at the top of the pile, in a number of loading steps. Output is given on the screen, in the form of the response of the top of the pile. Input and output data can be printed, and are written to the data file of the problem when it is saved after the analysis. These data can be inspected using a text editor. Documentation is in the program help.The program must be extracted from a ZIP file before use. It is written for Microsoft Windows 95/98/Me/NT/2000/XP operating systems, and comes courtesy of Dr. Arnold Verruijt.